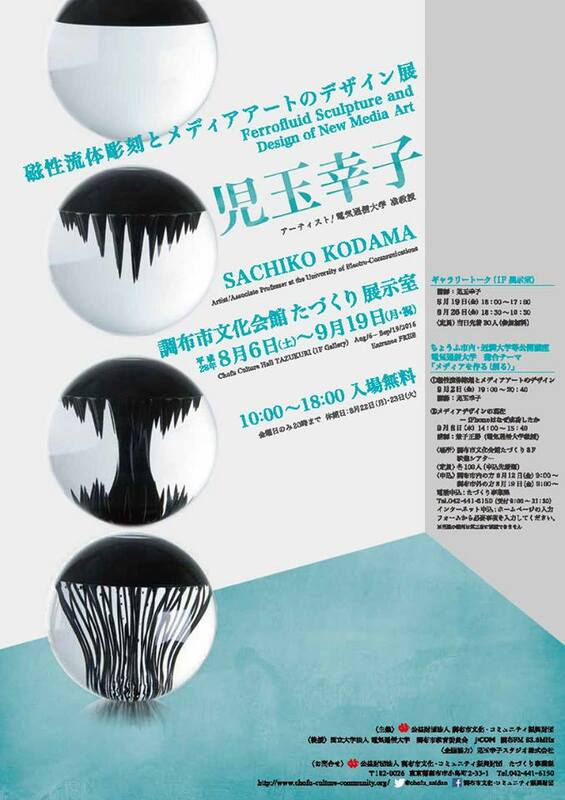 Although the still life has been a major subject in art for a long time, Sachiko Kodama’s Still Life is not static at all. 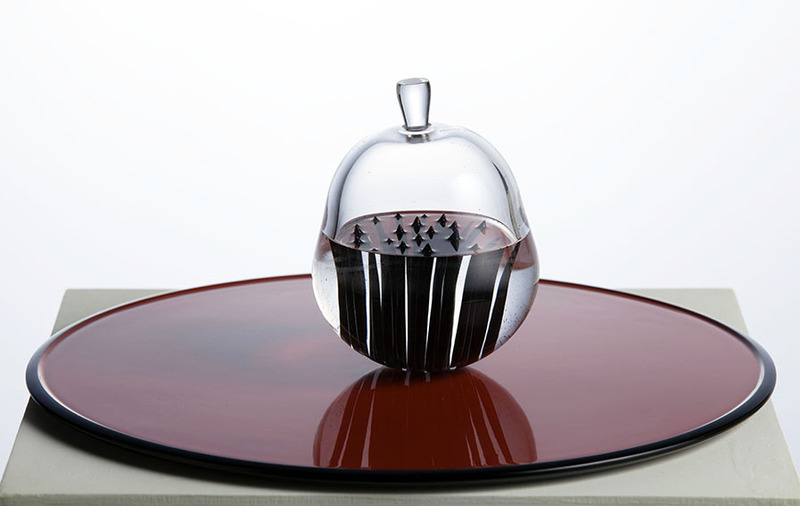 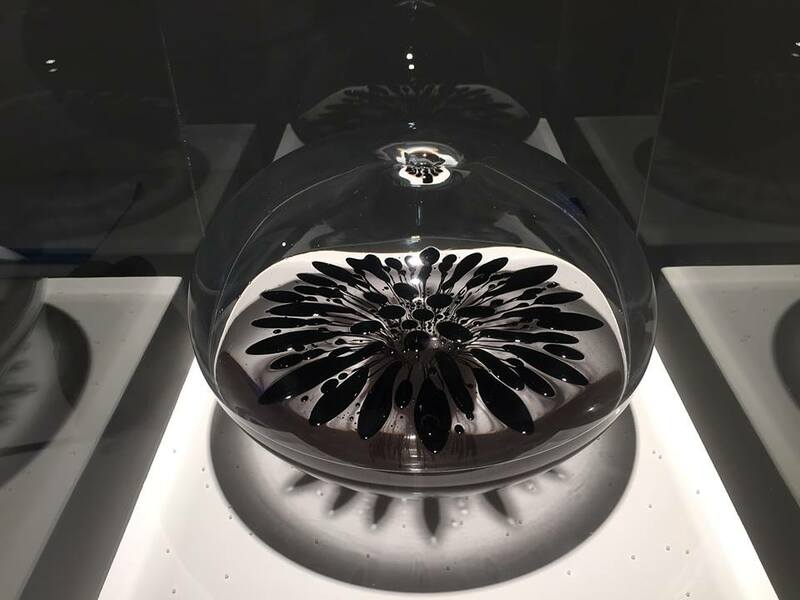 It is a kinetic sculpture using magnetic black liquid (ferrofluid), moving as if it breathes in a glass container shaped like an apple. 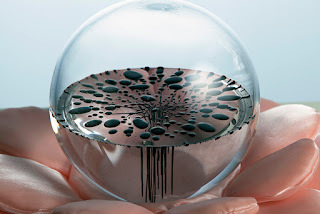 The ferrofluid in the glass buds and changes shape like seeds, vascular bundles, or bunches of fruit. The contrast between the black (the color of the ferrofluid and the shadow) and the red (the tray) is strong and vivid. 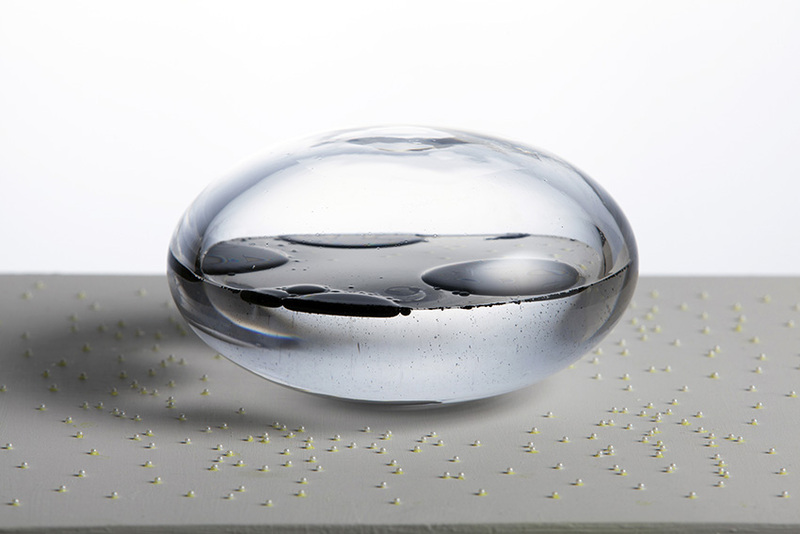 Sachiko Kodama "Protrude, Flow" and "Ribome"
Currently I am exhibiting "Prortude, Flow"(2001) and a new edition of "Ribome" at Arts Chiyoda 3331 in Tokyo. 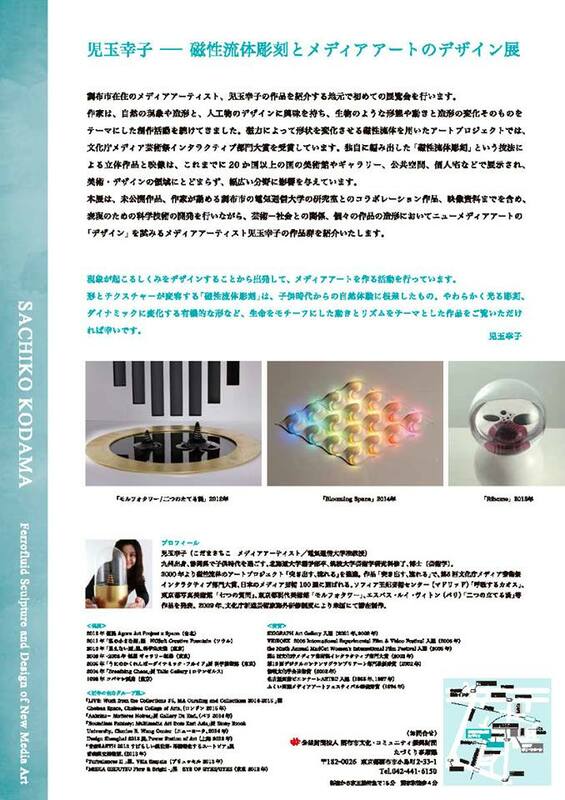 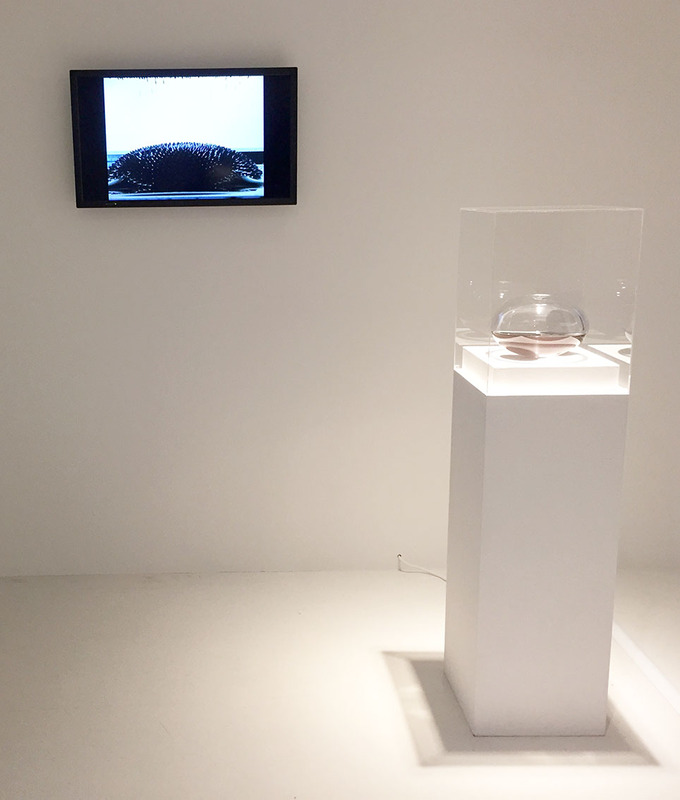 On this September 28th, NHK live TV news introduced my ferrofluid sculpture works exhibited in my solo exhibition. 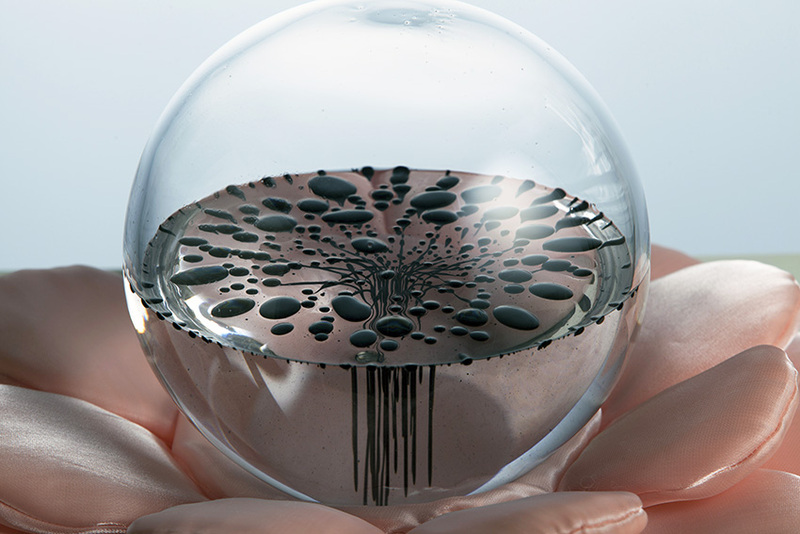 "An artist uses magnetic liquid to make these shapeshifting sculptures." 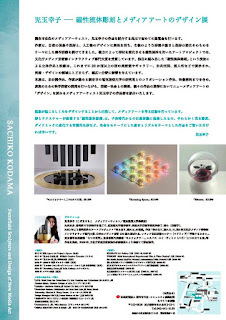 Art UpClose : A Survey of Contemporary Art has been published, my two works are printed in the book.